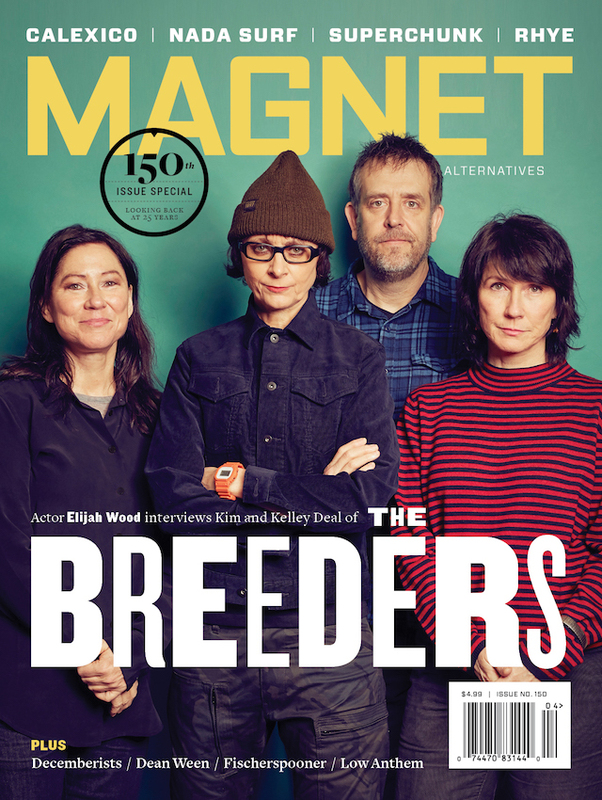 Power-pop progenitors? O.G. DIYers? The last college-rock survivors? No label adequately captures the four-decade journey of Zion, Ill.’s Shoes, who are releasing their first new studio material in 17 years. Shoes singer/guitarist Jeff Murphy is doing his best impression of the Hedleys, the “hardest working West Indian family” from In Living Color who seemed to take a perverse delight in toting up the sheer number of jobs it was possible to hold down at any given time. When he’s not playing with his band of nearly 40 years, he also has a day gig (fixing electronic gear at a local music store) or is engaged in the kind of activity he’s preparing for today: putting in a guest teaching appearance at Harper College in nearby Palatine, Ill., to help out a professor friend. Embodied in this guest-teaching vignette is literally everything you need to know about Shoes: the single-minded pursuit of perfection, the enthusiasm that only fans can bring to a volunteer endeavor, the desire to support friends who are equally committed to their art or avocation, the self-skewering sense of humor. Not to mention the “Midwest nice” demeanor that colors every conversation with the band on virtually every topic, any time. Perhaps the most astonishing thing about Shoes is that this ethic and attitude prevails despite a collection of music-biz bumps and bruises that could rival Charlie Brown in terms of sheer career futility. In some ways, they’re the Forrest Gumps of rock. Shoes essentially presaged punk’s DIY movement by recording its first, early-’70s albums in Murphy’s living room before garnering enough critical acclaim to merit a major-label contract; recorded three terrific if underappreciated power-pop albums on Elektra before being unceremoniously dumped in the mid-’80s; had the presence of mind to take their separation pay from the label and parlay it into a proper commercial studio (Short Order Recorder) and record label operation (Black Vinyl Records), thus affording Shoes not only cheap access to studio time and readymade record distribution, but also the ability to produce other up-and-coming bands along the way. (Oh, hello, Material Issue and Local H.) That business venture was then shuttered in the mid-2000s and the band members moved their recording equipment back into the basement, so to speak, bringing them full circle in a career that has seen a little of everything the music business has to offer except for one elusive prize: mainstream success. Zion, Ill., is, in many respects, the perfect town from which a band like Shoes could silently issue forth to wage musical war on an unsuspecting universe. The city of 25,000-ish (noteworthy homeboy: actor Gary Coleman) is situated midway between Chicago and Milwaukee near the border of Illinois and Wisconsin, and it’s responsible for a cultural ethos that threads all the way through the very fabric of Shoes since the beginning of the band. “Zion was founded in the early 20th century as a religious community and was steeped in a very conservative attitude,” Murphy wrote in his 2006 pictorial memoir, Birth Of A Band, The Record Deal, And The Making of “Present Tense”. “It had absolutely no music scene or even a club to play at. And it was a dry town, so there were no bars, clubs or restaurants that served alcohol. Even the simple possession of tobacco was, at one time, illegal. But it was within radio reception of Chicago, and Chicago’s AM radio in the mid-’60s was a phenomenal influence on every red-blooded adolescent who imagined themselves as a pop star.” Put simply: If you were going to have fun in Zion, you’d have to make it yourself. Murphy was a young gearhead—he purchased his first reel-to-reel recording equipment at the age of eight—while older brother John and his high-school friend, Gary Klebe, had already decided to form Shoes by 1973, asking Jeff to join later when it became apparent that he was the one with the equipment they needed to realize their vision (one part Beatles, one part Big Star, one part Bowie). The trio, plus a friend of Jeff’s on drums, made its initial foray into home recording with 1974’s Heads Or Tails, a mono-only collection of 10 songs cut to a 10-inch disc that the band printed exactly four copies of (one for each member of the group). Eventually, Murphy moved out of his parents’ home and into a house he called “La Cabane,” a kind of boys-only, music-geek clubhouse that became ground zero for the band’s next three home-recorded albums, Un Dans Versailles (One In Versailles), the unreleased Bazooka (both from 1976) and 1977 leftfield classic Black Vinyl Shoes, which contained just the right mixture of jingle-jangle six-string and creamy, dreamy harmony vocals to capture the attention of influential rock critics such as Ira Robbins and Robert Christgau, both of whom championed it loudly while the nascent power-pop movement of the ’70s (Raspberries, Badfinger, Flamin’ Groovies) was winding down and the next generation of melodists-with-muscle (Knack, Cars, Romantics, Cheap Trick) was gearing up for unprecedented commercial success. Shoes would eventually get its opportunity to see how the other half lived when its early, home-brewed successes won them a contract with Elektra. The group decamped for England to record 1979’s Present Tense at the Manor in Oxfordshire—an album that would net them minor radio hits with “Tomorrow Night” and “Too Late”—working with noted producers such as Mike Stone (Queen) and Richard Dashut (Fleetwood Mac, during the Rumors and Tusk era) as their follow-up albums Tongue Twister (1980) and Boomerang (1982) landed the group some early MTV exposure (four of their videos were on the network during its first 24 hours of operation) and accorded them no small amount of respect and critical plaudits, even if sales never quite amounted to what both the band and label had hoped for. Shoes was eventually released from its contract in 1982 and used their parting gift from the label to build a small studio, Short Order Recorder, in a strip mall near its hometown, as well as start up the Black Vinyl label. This enabled them to carry on as a recording act (1984’s Silhouette, 1989’s Stolen Wishes) while producing other like-minded musical acts, such as Chicago’s Material Issue and Zion homeboys Local H (both of whom went on to major-label success) as well as the Sneetches. Shoes had, in effect, created a self-contained universe in which the band could operate as it wished with little of the financial pressures that accompanied a major-label contract. 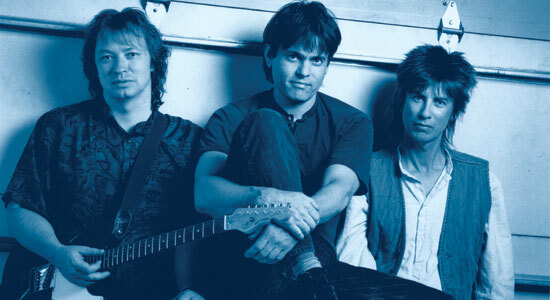 The group toured nationally for the first time in support of Stolen Wishes (hard to believe for a band that had effectively been operating for 15 years; but then Shoes had always considered itself a recording act, first) and generally enjoyed the fruits of its two decades’ worth of labor. But something was simmering beneath the surface, both within the industry as well as within the band itself. It was this realization that eventually led Shoes to wrap up the recording of 1994’s Propeller—a more rocking, higher-energy album than the band had recorded in years—and essentially put the group on ice in favor of other activities for the foreseeable future. Coming as it did at the apex of grunge—the era of big distorted guitars, growly vocals that killed harmonies dead, lyrical anger and its antecedents, rather than the poignant and funny boy/girl relationship stories that remained Shoes stock in trade—this seemed like the end. And yet, it was hardly that, by a long shot. Given the near-brushes with success and the tireless work ethic that saw Shoes transition from major-label act back to a D.I.Y. way of working (out of necessity more than any deliberate decision on its part), it’s nothing short of shocking to hear the product of all the group’s efforts over the past few years, Ignition: 15 well-crafted pop/rock nuggets as catchy as anything in the band’s previous 10-album catalog. “The main reason it’s taken us 17 years to put together a new Shoes album is because of timing,” says Murphy. “It’s been difficult to fit it into everyone’s schedule. Gary runs a local business with his brother, and John works there too in the graphics department; they do a massive catalog several times every year and employ 30 people. But shortly after we started recording again, I said to those guys that it all felt totally natural, like there hadn’t been a huge break between records, and how much I really enjoy writing and recording Shoes music. Between Donnelly’s forthcoming biography (which all three Shoes members agree played a role in getting them back into the studio to record again), Klebe’s state-of-the-art basement studio (if there can really be such a thing) and finding the time and energy to devote to their craft once again, the three boys from Zion have somehow managed to defy expectations once more, unleashing an album that dozens of bands half their age would be delighted to take out and road-test every night. The fact that Shoes likely won’t tour behind the album makes chart success all the more improbable to attain, but is also par for the course with a group that has largely gone about its craft exactly the way it’s seen fit for as long as it has been creating music together, even if that way has sacrificed some of the success the band would no doubt have tasted by now had it taken a more conventional path.